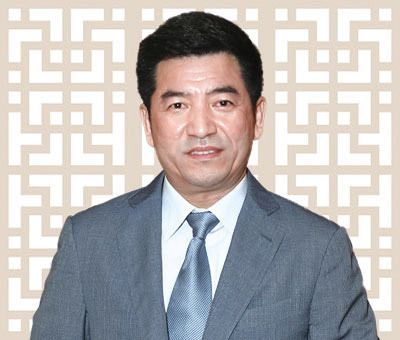 Mr Zhang Yadong joined the Company in May 2018 and serves as Executive Director, Chief Executive Officer and Party Chief of the Company. Mr Zhang graduated from Liaoning University (遼寧大學), Dalian Polytechnic University (大連工业大学), and Xiamen University (廈門大學); he has a doctoral degree. Mr Zhang previously served as the assistant to general manager, deputy general manager and general manager of Dalian Great Automobile Enterprise Group (大連大汽企業集團), assistant director and deputy director of Dalian High-tech Zone Management Committee, deputy party chief and mayor of Pulandian Municipal Committee of Liaoning Province, and deputy party chief of party working committee and deputy director of management committee of Dalian Economic and Technological Development Zone, party chief and head of Dalian Urban Construction Bureau, secretary of the leading party members’ group and director of Dalian Construction Committee, deputy mayor of Dalian Municipal Government, member of the standing committee and the head of the United Front Work Department of the Dalian Municipal Committee, director and general manager of China Urban and Rural Construction Development Limited (中國城鄉建設發展有限公司) (a wholly owned subsidiary of CCCG). During his tenure as deputy mayor of Dalian Municipal Government, Mr Zhang was responsible for urban construction and management, including overseeing the Dalian Municipal Land Resources and Housing Bureau, Urban and Rural Construction Committee, Planning Bureau, Urban Construction Administration and other related urban construction departments. Mr Zhang has extensive experience in urban and rural construction and real estate management.